With more and more of our lives being conducted online, the Internet is becoming the medium of choice for people seeking support for their mental wellbeing through therapeutic counselling. Is online therapy the same as face to face therapy? The research literature in the field of online counselling points to one particular feature of e-therapy that helps many open up about their issues: the online disinhibition effect. Put simply, when in an online relationship clients seem to share what is going on in their lives more readily than they would in person. As a counselling therapist, I am aware that people in general find it easier to open up to a counsellor than they do a friend of family member. The professional boundaries and assurance of confidentiality create an atmosphere conducive to disclosure and trust. When working online, this trust is enhanced, perhaps by the physical distance between client and therapist, and the process of disclosure is often speeded up. Working with a client on things that trouble them, or that they would like to overcome, is therefore moved along more quickly online, and relational depth is achieved more readily. To me, this is the real power of online therapy. Another helpful aspect of working either by secure email or instant messaging (text), is that the client has the option of keeping a record of what was discussed during the session to refer back to later. Coping strategies and new perspectives can therefore be reviewed and consolidated, both between sessions and once therapy has been drawn to a close. 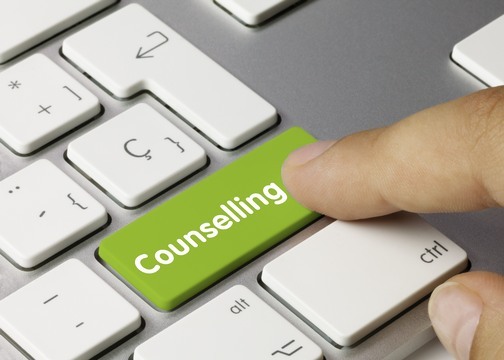 Having worked as both a face to face therapist and an online counsellor, I feel that the work of a psychological practitioner fits very well with the benefits brought by the Online Age. Communication, the foundation of all human relationships, is a fundamental part of the connected world and makes therapy and the Internet ideal bedfellows. If the real agent of lasting change is the therapeutic relationship, I believe that the opportunities for distance working with clients regardless of physical location is truly the start of a revolution in the way we approach the looking after of our wellbeing.